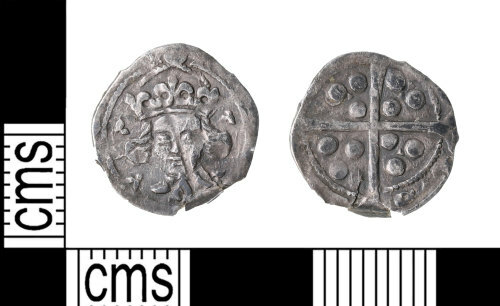 A heavily clipped, worn and miss truck medieval silver penny of Henry VII (A.D 1485 - 1509). Facing bust issue, possibly unpublished type with lis on breast trefoils by hair and neck. wide hair. Possibly Mint of London. Measurements: 14.51mm in diameter, 0.54mm in diameter and 0.47g in weight. Reverse description: Long cross dividing legend.